As an Achilles Link Up approved haulier, Foley and Miles Ltd operate vehicles capable of providing logistic support to Rail Infrastructure Companies, such as Network Rail, CrossRail, LUL, Morgan Sindall and Keyline Rail. Along with experienced crane offload operators, we can offer a competitive and flexible 24hr, 7day week service. All vehicles listed above can offload using grabs, hooks, slings and chains if required. 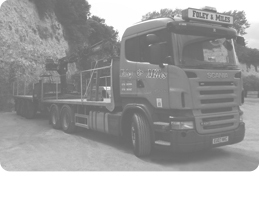 Our operators are equipped with full rail specification ppe, and all of vehicles have the latest electronic safety equipment including side and rear mounted cameras, side scan and fall prevention equipment, strobe lighting and in cab communication systems. We can provide logistic solutions at short notice. We are geared up to deal with the time restraints put in place by track possessions to ensure minimal disruption and maximum efficiency. Our Goal is to provide safe and efficient transport and lifting solutions to all Rail Companies. For CrossRail Compliant Vehicles please click here. 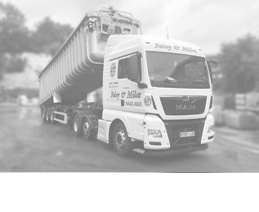 "Rail is a high risk, 24/7 operation, therefore, whenever we require a haulier we always use a company that we can trust. 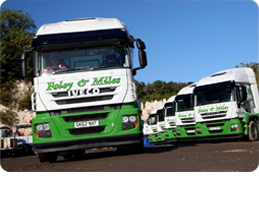 Foley & Miles have always delivered in full and on time."